Half of us couldn't imagine a life without email, a new survey has found. And it's not teenagers who are the worst addicts, but 30 to 40-year-olds. Some 50 per cent of 25 to 34-year-olds said they wouldn't be able to live without email, while 44 per cent of 35 to 44-year-olds said the same,. That's according to a study commissioned by software form Nasstar . The corresponding number for teenagers was 41 per cent. People living in the South East of England are the most reliant upon email, with 43 per cent of people saying it was vital to them. In Wales, only 34 per cent agreed. More women than men said they would feel lost without email access; 41 per cent compared to 38 per cent of men. This strong need to keep in touch via email will fuel the growing use of mobile phone-based email solutions, Nasstar believes. "The first wave was the mobile phone, and many of us would admit we rely on our mobile and can't remember how we ever survived without it. This poll shows that the next phase is the growth of mobile email," said Charles Black, chief executive of Nasstar. Black pointed towards some important differences among younger and older mobile users. "While teenagers are passionate about their mobile phones and texting in particular, the older generations are relying more and more on e-mail because of its use in a business capacity. "Thirty and 40-somethings have fitted email into their busy lives as a vital form of communication. It's not restricted by time, you can email at in the middle of the night without disturbing anyone. 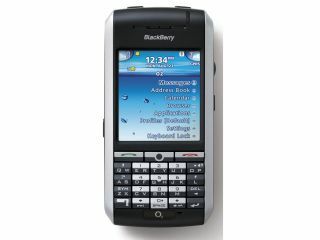 And now [since the emergence of the BlackBerry and other smartphones and PDAs] it's no longer restricted by location." Some 700 people took part in the survey.